Texas taps private vendor to manage first state-run gold depository in U.S.
Texas Comptroller Glenn Hegar announced Wednesday that his office had picked an Austin-based company to build and operate the first state-administered gold depository in the country and that it could open as early as January. Two years after Gov. Greg Abbott announced Texas would build the country's first state-run gold depository, the project took a major step forward Wednesday. Comptroller Glenn Hegar announced at a news conference at the Capitol that his office had selected Austin-based Lone Star Tangible Assets as the private vendor tasked with building and operating the Texas Bullion Depository. “The Texas Bullion Depository will offer Texas safe, fully-insured storage of precious metals providing an alternative to the depositories largely located in and around New York City,” Hegar said. In 2015, the Texas Legislature passed House Bill 483, creating a gold depository in Texas. The project's main cheerleader, state Rep. Giovanni Capriglione, R-Southlake, was only able to pass the bill after rewriting it to ensure there would be no cost to the state by requiring that a private vendor run it and charge fees. The depository will store gold and other precious metals, allowing customers to open accounts and potentially pay for transactions with them. 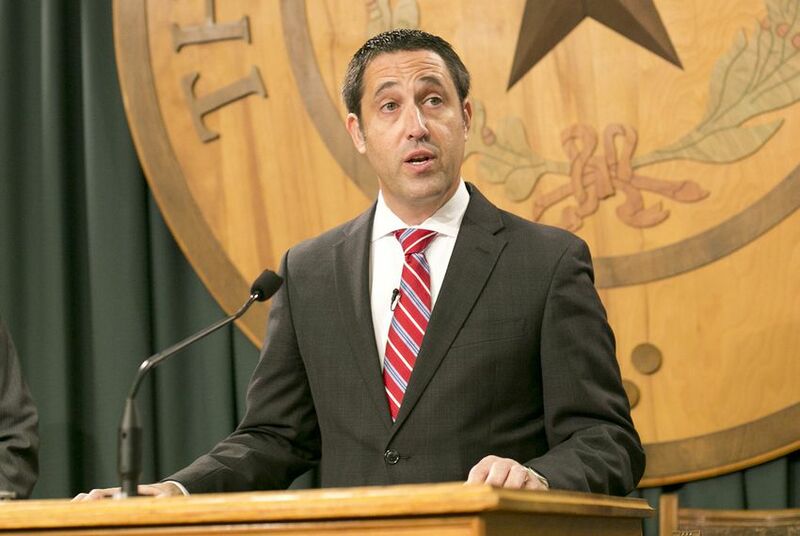 The state has signed a five-year-contract with Lone Star Tangible Assets with two one-year extension options, Hegar said. Hegar said the depository could open in Lone Star's current Austin facility as early as January. The company will also build a new vault facility in the Austin-area specifically for the Texas Bullion Depository, Hegar said. That facility could be ready as early as December 2018. But Hegar said he expects Texans won't have to travel to Austin to open accounts at the depository. “We envision a network of licensed and insured depository agents to help Texans sign up for our services,” Hegar said. The announcement ends a two-year review process in the Comptroller’s office for a private vendor to run the depository. More than a dozen companies responded last year to Hegar's request for private sector input on the project. Tom Smelker, the director of Treasury Operations in the Comptroller’s office, will serve as the state's first Texas Bullion Depository administrator. Disclosure: The University of Texas System and Texas A&M have been financial supporters of The Texas Tribune. A complete list of Tribune donors and sponsors can be viewed here.